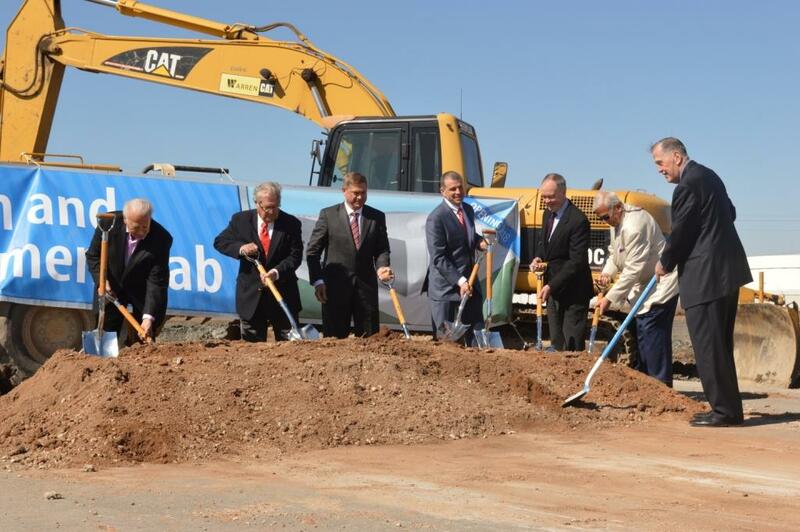 AAON, Inc., a leading manufacturer of heating and cooling products, breaks ground on new engineering research and development laboratory at the Tulsa manufacturing facility. The three-story 75,000 square foot facility will be both an acoustical and a performance measuring laboratory. The new facility will consist of five psychrometric chambers allowing AAON to meet and maintain AHRI (Air-Conditioning Heating and Refrigeration Institute) and DOE (Department of Energy) certification. This new facility will be the only laboratory in the world able to measure the supply, return, and ambient sound under actual load conditions. Furthermore, the performance lab will measure the efficiency by which energy is converted into heating, cooling, or air movement. A witness test area will also allow customers the opportunity to view product testing. The new lab is expected to be completed by the end of 2018. "Today's ever-increasing regulatory burden and our growing breadth of product lines have necessitated this expansion project. The new engineering research and development lab will allow AAON to solidify our position as the technological leader in the manufacturing of HVAC equipment," said Norm Asbjornson, President and CEO of AAON. AAON is engaged in the engineering, manufacturing, marketing and sale of air conditioning and heating equipment consisting of standard, semi-custom and custom rooftop units, chillers, packaged outdoor mechanical rooms, air handling units, makeup air units, energy recovery units, condensing units, geothermal heat pumps and coils. Since the founding of AAON in 1988, AAON has maintained a commitment to design, develop, manufacture and deliver heating and cooling products to perform beyond all expectations and demonstrate the value of AAON to our customers. For more information, please visit www.aaon.com.